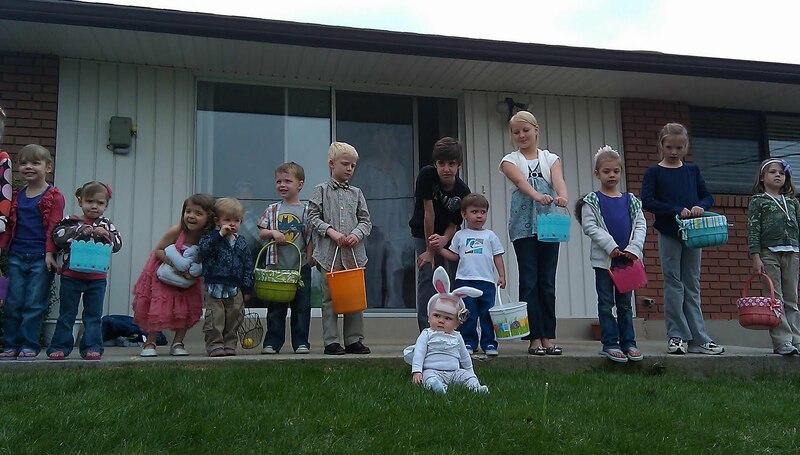 That cute little bunny is my grand daughter. How can I explain all that has gone on in the past several months? Life just seems to roll along and sometimes I can roll along with it and keep up with the daily normalcy of life. Other times I have been the rock that silently lies still and immovable as life swirls too swiftly for me to catch up. I am trying to make it through the last three months of maintenance therapy. It seems to be getting harder. I have been on 20 mg of Dexamethasone every three weeks. I take it on days 1-4. I used to get a little energy on those days but thats seems to be dwindling. From about day 5 to to 14 I get severe fatigue, achy muscles, and pain. I slowly work my way back up and feel pretty good for a few days and then start all over again on day 21. If all tests are good I should be off of any treatment by September. If I can hold out that long. It is SO tempting to just call it quits! I have too many things to do, projects to accomplish, and people to do it with to spend half my life laying down! So that’s the latest report on “How I’m doing.” I’m just telling it like it is. As for the home front it has been filled with great things as well as crisis. I am writing about these things not to brag but explain how great, as well as crazy my life has been lately. 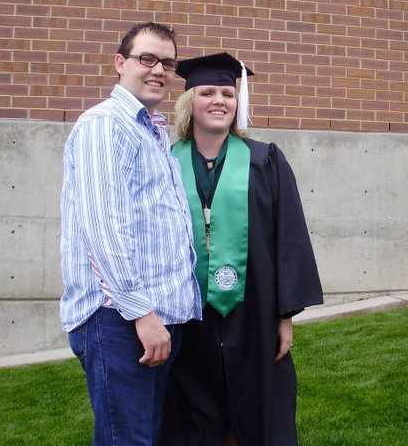 Mallory our only daughter graduated from Utah Valley University in April. 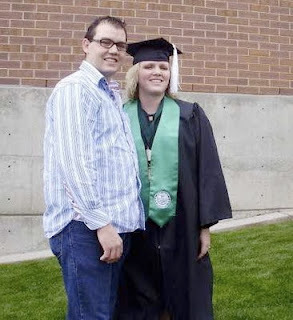 She received a Bachelors degree in Behavioral Science. We are so proud of her! She has worked so hard to get through school quickly and can hopefully Trevor can do the same. Our son Jace has been out in the mission field for about ten weeks. He Loves Puerto Rico and the people there. Every week we wait anxiously for his next email. Right now he is in Ponce. He rides a bike along with another missionary-called his companion. The companion instructed Jace on the fine art of catching lizards. So as they are traveling along on their bikes they will catch a few and put them on their backpacks where they stay until taken off. He has met many nice people and certainly stands out in a crowd. He said several grandmothers tell him he has beautiful blues eyes. It is so fun to share in his adventure. If you would like to read parts of the letters he sends home you can go here. Our two sons at home are keeping life rolling along, as I said before sometimes I can keep up and sometimes life just swirls around me. Thankfully my husband pulls up the slack and spends a lot of needed time with them. Last month, my son Trent completed his eagle project, which took much planning and preparation. He and several friends painted several buildings at a campground. The total project took over 100 service hours to complete. Trent demonstrated leadership and organizational skills to complete it. Our church has a very strong scouting program for boys and we really feel like it helps build Young men. In a couple weeks their troop will go camping and river rafting. Oh also this past month Spencer tested for his black belt. He has worked really hard and for years to accomplish this goal. It was more challenging to him then his older brothers, We are so proud of him for sticking with it. Now all my family have earned their black belts. 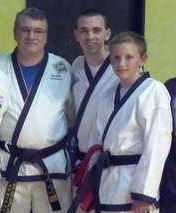 Joe, Tyler, and Spencer after getting his blackbelt. So life has been just rolling along until Thursday May 26. That evening I really understood what it felt like to come so close to losing my husband. As far as we can figure he choked on something and passed out. When Trent and I found him he was turning blue with sporadic breathing. I had Trent call an ambulance while I called my neighbor who is a Nurse Practitioner. 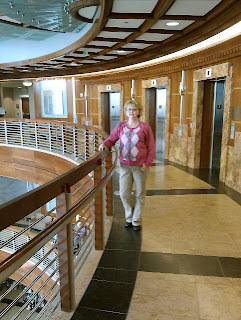 I was a basket case- (I guess becoming an EMT is out of the question for me.) Luckily his heart kept beating and he was getting some oxygen. He was taken to the hospital and ended up spending three days there. He had aspirated into his lungs so he was kept sedated and incubated for 24 hrs while they cleaned out his lungs and ran every imaginable test. Nothing was conclusive. The best possible medical reason this happened was that he just choked on something. Thank goodness the other possibilities were extremely serious. Non-the-less this incident completely humbled us. My body was already worn down from “dex week” and then with this added crisis, I ended up with an ugly case of pneumonia. I’m sure you can imagine the chaos at our home this past week as he was recovering and I was getting sicker. I am so eternally grateful for strong family and neighbor support. I have basically written the facts or events of the last few months, however the feelings and emotions are somewhat overwhelming. It has been hard! and brings plenty of fresh prospective on what really matters. I thought I pretty well had that covered with getting cancer but apparently the Lord has much more for us to learn. It is absolutely a “Beautiful Mess” right now but as the song says, “here we are.” I am still here and my husband is still here and we and our family are in this for the long haul. But I do thinks its time for a vacation!